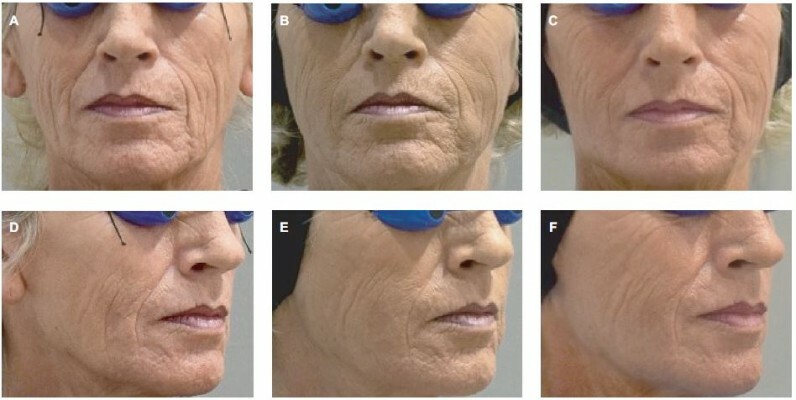 Purpose: The aim of this study was to evaluate the effectiveness and safety of hyaluronic acid (HA) dermal filler when used in the face for medical reconstructive purposes. Patients and methods: Adult patients with moderately severe facial lipoatrophy (FLA), morphological asymmetry (MA) of the face, or debilitating scars (DS) on the face were included in a prospective, noncomparative, multicenter, postmarket clinical follow-up study. All patients were treated with an HA filler (Princess® FILLER), which was injected intradermally on study Day 1, with optional touch-up 2 weeks later. The effectiveness of the treatment was evaluated at Weeks 4 and 24, using a six-grade scale ranging from “excellent” to “worsening”. The assessments were conducted by both the investigator and the patient and, at Week 4, by the independent photography reviewer as well. Adverse events were collected at each visit. Results: Fifty-three patients were included in the study (FLA 23, MA 17, and DS 13), and 46 patients completed a 6-month follow-up (FLA 20, MA 15, and DS 11). At Week 4 (primary endpoint), the overall treatment success rate was 100% (FLA), 100% (MA), and 94% (DS), based on assessments made by the investigator, patients, and the independent reviewer, respectively. In most patients (~95%), the effect was sustained over 6 months. Treatment-related adverse events were reported in five patients (9%) and included injection site hematoma, injection site pain, and headache. Conclusion: Dermal filling with HA gel is a viable treatment option for the correction of various deformities of the face resulting from FLA, MA, or DS.